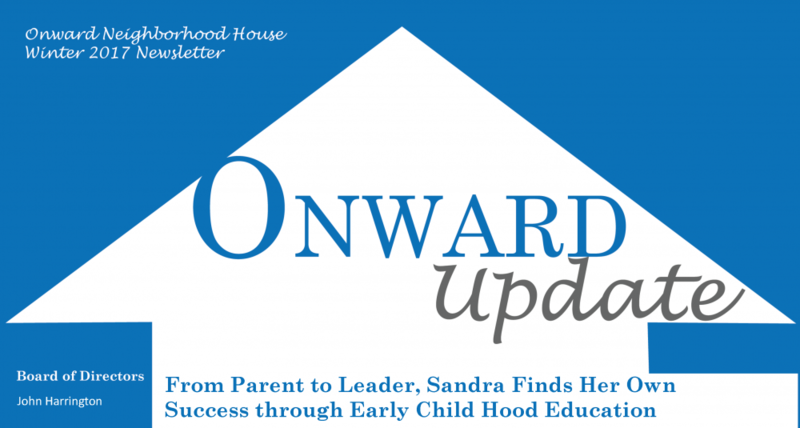 When Sandra enrolled her daughter in Onward House’s Early Head Start program, she worried about how staff would treat her daughter, who would shake and cry during potty training. Onward House teachers soothed Sandra’s anxiety, letting her know that her daughter’s reaction to potty training was normal. And teachers were right, within four months, Sandra’s daughter grew to be a confident potty user. That was the milestone convinced Sandra that her daughter was in the right place. Sandra first represented her daughter’s classroom for policy meetings, and soon became the Chair of the Parent Policy Committee. There, she and committee members advise on program policies and activities, including participating in the recruitment and screening of new employees – something that Sandra believes helps parents feel more confident that their children are in goods hands.